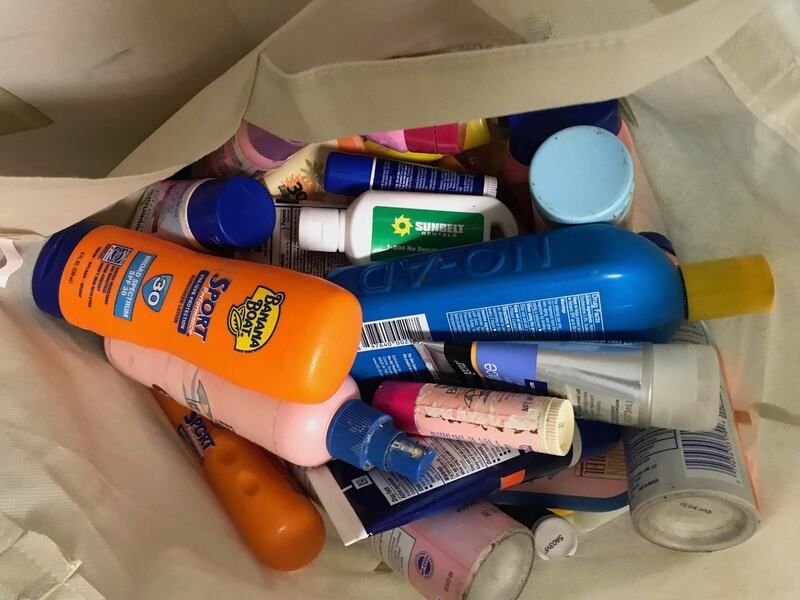 Did you know, there are no recycling companies (even creative, out of the box kine) that will take the thousand bottles of chemical sunscreens we’ve collected in our island-wide #GreatSunscreenTradeinProject campaign. The ingredients are okay to slop on our keiki… they’re okay for corals, marine life, our environment… but too toxic for them to deal with. If they go in a regular landfill, they’ll likely seep into soil. If the bottles are washed out to be recycled, it ends up in the ocean. The only place we found that will do any “recycling” of them, is H-Power (waste to power) on Oahu, which says 97% will convert to energy. Email as well if you’re looking for drop-off locations on your island. We will establish more permanent locations soon. If you’d like to BE a drop off location – particularly businesses that sell safe sunscreens who may want to offer a discount for trade-ins – let us know. Join the Safe Sunscreen Coalition! If you’re looking for upcoming Sunscreen Trade-Ins across Hawaii, check our Ban Toxic Sunscreens Facebook Page for regular updates!